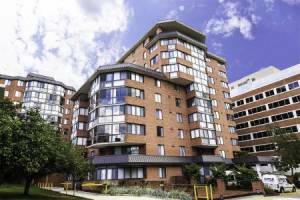 Conveniently located just 2 blocks from the Ballston Metro Station, this impressive EastView, Georgetown model, 1 bedroom condominium has been completely renovated top to bottom with over $60,000 in upgrades and improvements. 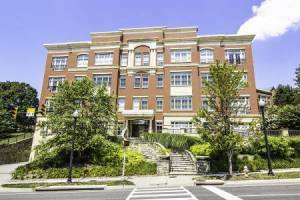 The condo unit, approximately 8square feet features a large modified floor plan including an enclosedyear round balcony, which can alsodouble as a den/office or guest suite. The kitchen is stateof the art with Kitchen Aid stainless steel appliances, high endwhite cabinets with soft close drawers, under cabinet lighting, and iSpring Water Filtration Syste. Updated bathroom, Upgraded Carrier Comfort 14 HVAC heat pump featuring Smart Maintenance Technology Monitoring System, Asko Extra Large Capacity Front Loading Washer/Dryer. Hunter Douglas Blinds,extensive track lighting, and new flooring throughout. This unit also conveys wit 1 of the largest garage parking spaces in the building. 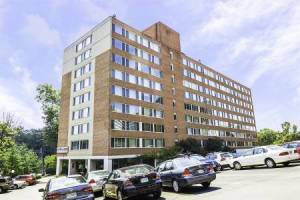 eastView at Ballston features an outdoor pool, hot tub, grilling area, business center, car wash station, fitness center and on-site management. 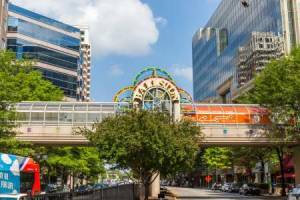 Walking distance to thenew Ballston Quarter Mall, restaurants, grocery stores, public library, parks/ball fields, bike trails and minutes from Amazon, Nestle and Ronald Reagan Airport. Listed by George Cranwell, G.E. Cranwell & Assoc., Ltd.